You may be asking yourself how a military force like the Empire can possibly lose to the scruffy band of rebels. 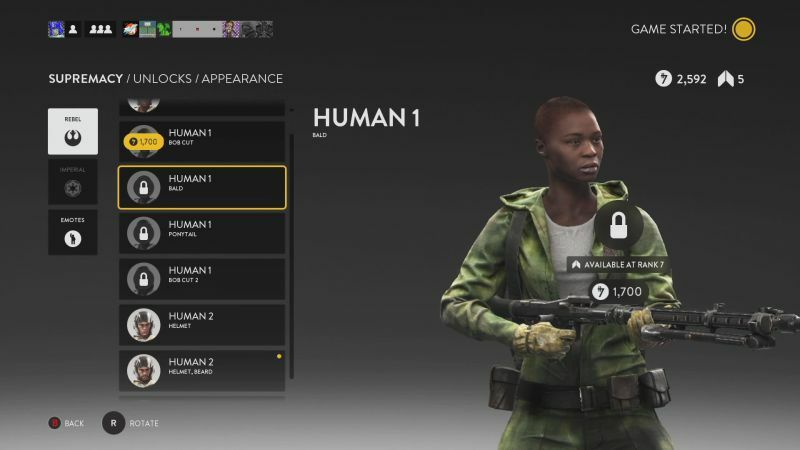 Well one writer thinks it may have something to do with the Imperial dress code. 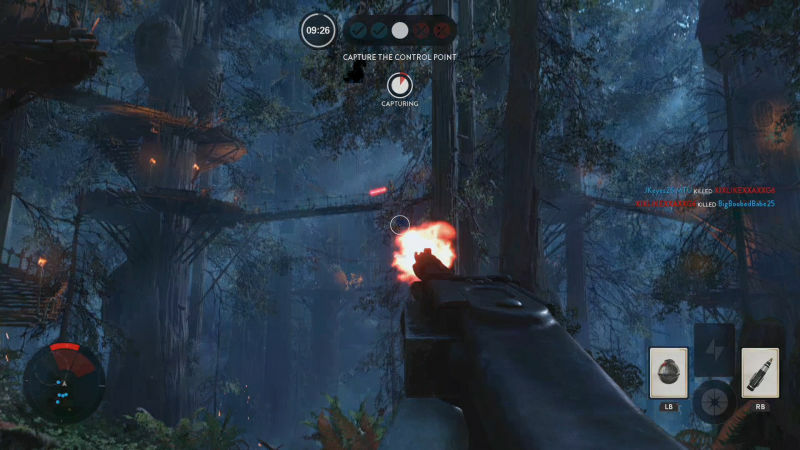 While I’ve only been playing the release version of Star Wars: Battlefront since yesterday, I’ve played enough to dread the forest moon of Endor. 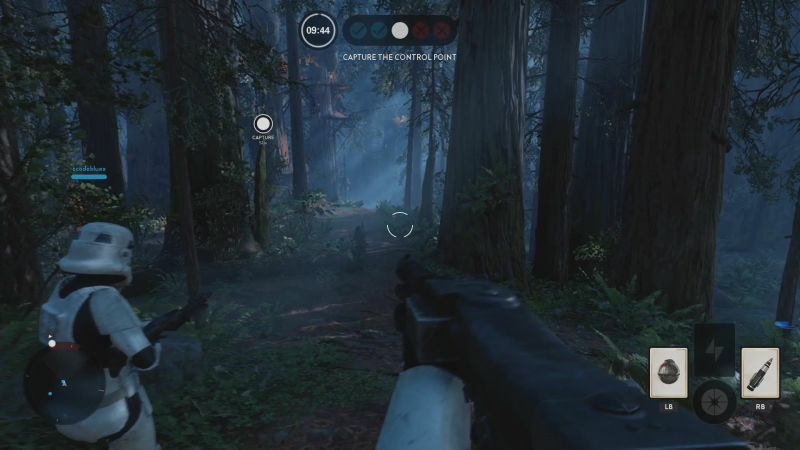 Any round played on the planet of Ewoks reverberates with the sound of exploding grenades and flashes with seemingly random gunfire, that’s the Empire’s shiny white Stormtroopers, tromping through the forest, desperately trying to fight an enemy they can’t see. You see grenades arcing in the direction that the mini-map paints red, which indicates an enemy coming towards. Then troopers aim tons of laser fire at the main origin of the red blasts that is coming towards them, just hoping to score a hit. The bolts that seem to come out of nowhere with an unerring accuracy end up taking your characters life. Somewhere in the back, there is surely a Rebel. The trees are filled with Rebels. Players that are on the good side of the good vs. evil fight here have gotten really good at using the forest moon’s flowers and plants to their advantage. There are bastions of hope on Endor for the Imperial forces. These are actual bastions, which are bases where the forest gives away to cold metal corridors and even just random piles of random supplies. Because these are places where Stormtroopers huddle up for safety reasons, these are the perfect places for Rebels to throw grenades. Of course, the Rebels are quite aware of this. This was not a problem in any of the older games that battles took place on the forest moon and this is a sign of the graphical ability of today’s high-end computers and gaming consoles. Virtual Endor was only once brown and green polygons with a few trees. Now, it’s lush and filled with trees and foliage. 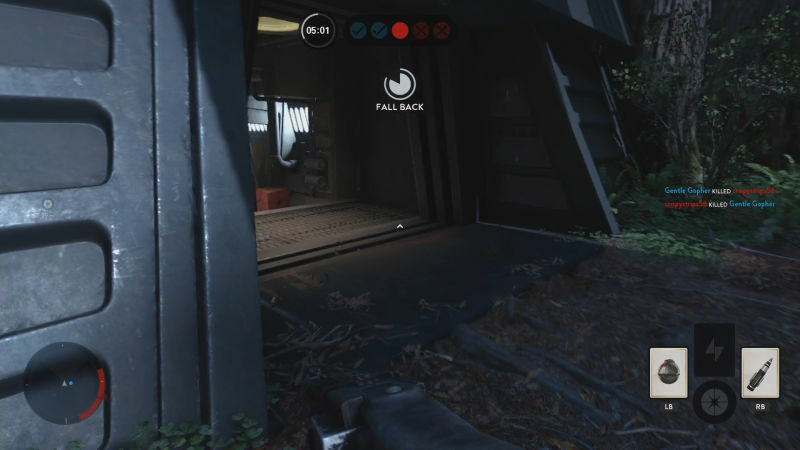 So, when you decide to roll up on Endor and then wind up on the Imperial side of the battle, you won’t be able but to feel anxious. It feels like the entire forest is rising against you and is trying to drive you from the beautiful lands. What a horrible nightmare this place must have been for the Empire in Return of the Jedi, trying to kill what you can’t even see.